Want to transfer files from your NAS to mobiles for taking them along with you or store your mobiles files on NAS for backup or another usage? Actually, xCloud will be your best choice. It can quickly transfer files what you want between NAS and mobiles without any third servers and ensure that all transmissions are processed in a secure and private environment. If you are a new user of xCloud for NAS, please install xCloud at first. Connect your NAS device and access xCloud in Package Center to install. If you are a regular user, I trust that you know how to access xCloud quickly. 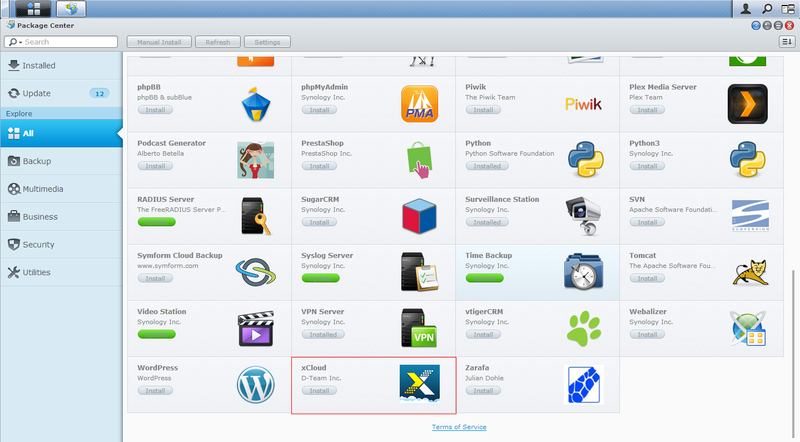 Open the installed xCloud and log in with your xCloud account or register a new one. After logging in, you can browse local files but cannot transfer. How to transfer files? Firstly, you need to download and install xCloud mobile client (Android or iOS). Secondly, you need to purchase xCloud NAS service and then the file transmission function can be accessed. OK, now log in xCloud on your mobile with the account which you have logged in xCloud on NAS and connect your NAS device. Tap File Transfer module and enter and enter first page. There are four sub-modules: Album, Video, Music and File and you can do data transmission in 'Local' and 'Remote'. When all four modules are in 'Local' mode, you can transfer Album, Video, Music and File from Mobile to NAS. Take File for example. Tap File module and access files stored on your mobile. All the files are in Upload mode by default. Select the specified files or all files to upload. Turn to 'Remote' mode and you can get two modules, Shared and xCloud. Tap Shared module to access shared NAS files or xCloud module to access NAS files stored in xCloud. Then, download these files as uploading files from mobile to NAS.